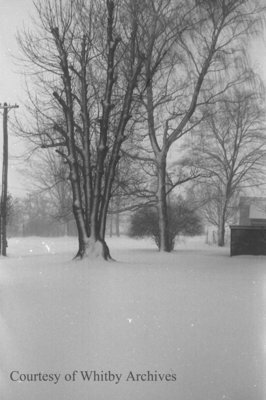 A black and white negative of two large snow covered trees on the grounds of Ontario Ladies' College in Whitby, Ontario. This photograph was taken in January of 1939. Snow Covered Trees, January 1939, Marjorie Ruddy. Whitby Archives A2013_040_645C.